On Saturday 15 September we were delighted to welcome Rugbeians, parents and friends to the annual Arnold Foundation Lecture and Lunch. This was a wonderful opportunity to thank all those who have been involved with the Arnold Foundation during this 15th Anniversary year. 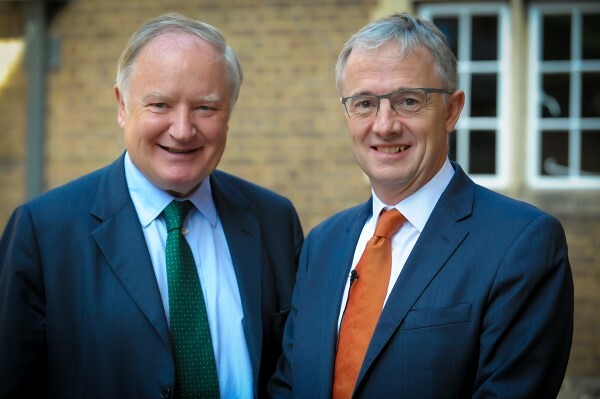 The lecture, titled ‘Is the Financial Services Industry a Force for Good in Britain’ was presented by Stephen Jones (K 77-81), CEO of UK Finance. Stephen drew on his vast experience in the Financial Services Industry to look back at the Financial Crash of 2008, and deliver his verdict on the positive changes that have taken place within the industry over the past 10 years. Guests were then invited to join Stephen, the Head Master and current Arnold Foundation students for Lunch in OBS. Many commented on the eloquence of the Arnold Foundation students and thoroughly enjoyed the opportunity to hear their thoughts on Rugby and their aspirations for the future.